Should be launched in India by 2018. The current, first generation Mercedes G-Class was unveiled in 1979, and is the company's oldest SUV currently on sale. After going through periodic updates nearly four decades, the iconic 'Geländewagen' will enter its second generation in 2017. The semi-digital instrument cluster retains the Mercedes G-Class's classic appeal in the second generation. The 2017 Mercedes G-Class made its spy photo debut earlier today, and the leaked image featured in this story possibly could be its dashboard. 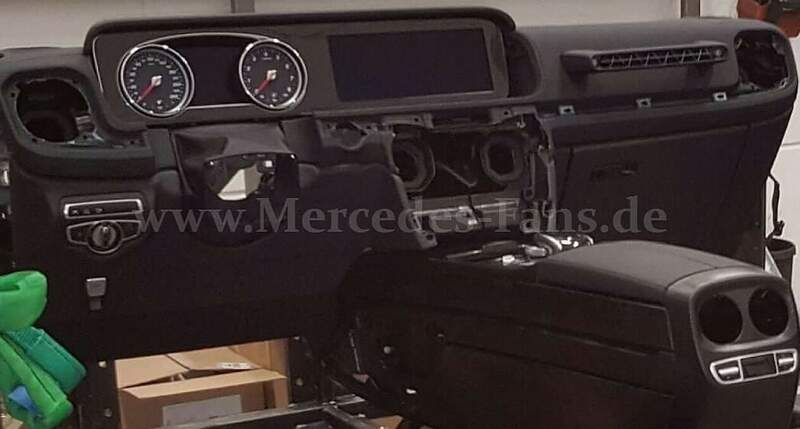 The leaked image, published originally by Mercedes-Fans.de, shows that Mercedes-Benz plans to completely revamp the Mercedes G-Class's interior in the second generation. Apparently, the G-Class retains its classic appeal inside with analogue speedometer and tachometer. There appear to be two colour displays on the dashboard, one in the instrument cluster for the driver information and in the centre for the infotainment system. The HVAC vents will probably have the same layout as now, but be circular in shape. 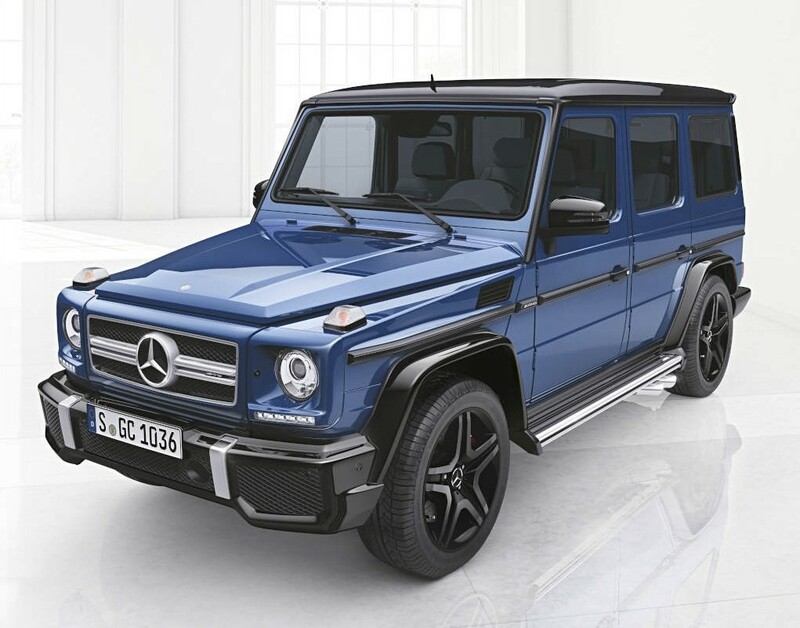 The Mercedes G-Class will likely go through an evolutionary redesign and will continue with body-on-frame construction in its second generation. The Mercedes G-Class will continue with body-on-frame construction in its second generation. However, extensive changes are expected, especially those related to the materials used. The weight reduction is rumored to be between 200 - 400 kg, and considerable to bring fuel economy and CO2 emissions improvements. A variety of six- and four-cylinder petrol and diesel engines with turbocharging should be offered. Lastly, a mild-hybrid system is also expected to be fitted in at least one engine variant.